As a competitive lacrosse organization, we leverage the strengths of our network to provide the best coaching experiences to our players with respect to their positions. We have experienced leaders that work with all teams as well as the dedicated coaching staff for each squad. This includes DI, DII & DIII players and coaches. In the past, we have been fortunate enough to have players like all four Thompson brothers, Sid Smith, Cody Jemison, Cam Bomberry and more. On a more consistent basis, we have a roster of local coaches and players to help our kids. For our travel teams, we have a dedicated coaching staff for each season. 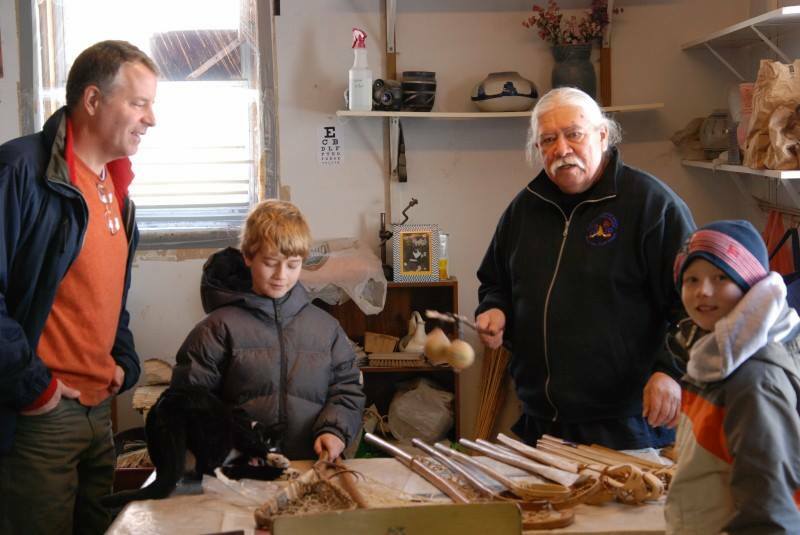 Marshall to left with Alfred Jacques, the Iroquois stick maker who comes to camp in the summer. Marshall started coaching right out of college and has banked over 20 years of experience, as a volunteer, founder of youth lacrosse programs, as well as league and tournament operations. His background is in business, having owned and started several small businesses in several industries, including sports. As a midfield captain of the Roger Williams University Lacrosse Program, Marshall led the team to its second league championship and to its first ECAC showing in school history. His passion for the sport has led to work with several other organizations including the Iroquois Lacrosse Association, Harlem Lacrosse and Leadership, and most notably the Keepers of the Game, US Lacrosse Association. Marshall has coached at the youth, high school, and college level but finds his passion in spreading his love of the sport to younger kids, and kids who might not be able to afford to play. Marshall has three boys, Liam, a US LACROSSE ALL AMERICAN who attended Denison University, Wyatt in 9th grade, starting attackman and Ramsey an 8th grader, all playing the sport. Mashall has been invited to work with programs in different areas of the United States and most recently partnered with US Lacrosse to help grow the sport in Florida. Vineyards Elementary School on Thursday, March 29, 2018. While Pat has been on the Cannons sidelines over the years watching his son play, starting in 2016 he will take a more formal role as director of coaching and recruiting. He will over see player development, coaching consistency, program development and over all club development in all aspects of coaching, recruiting and process around coaching and recruiting. Pat’s responsibilities will be to view and comment on the game film, build a library of coaching drills and practice plans, help our high school players with video editing and thru the recruiting process. A US Lacrosse All-American, a graduate of Portsmouth High School and Denison University, Liam was a standout on the field. 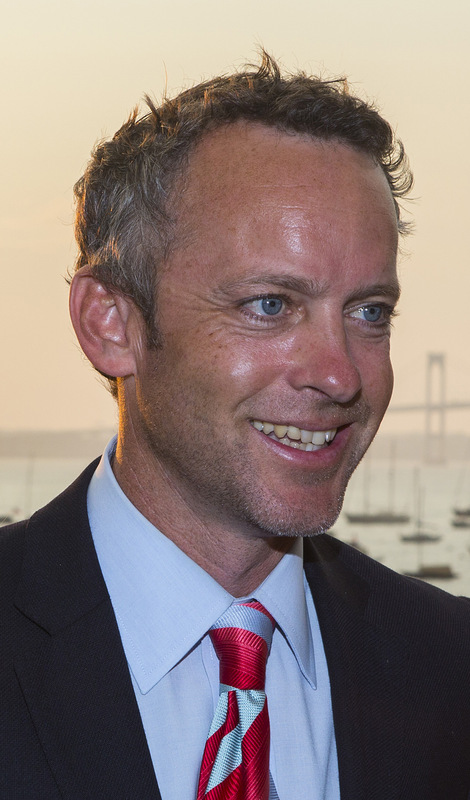 He has coached for many programs including 3d Lacrosse, Aquidneck Cannons, Beach Dogs as well as a volunteer for local youth programs, including Portsmouth Youth Lacrosse. He was a double major in Envirnmental Science and Geology, He lives in Newport, RI and works in Portsmouth, RI for Narragansett Engineers. Billy, a stand out at Wheaton College, now works with several regional club organization, such as the Fighting Clams, 3d Lacrosse and more, but spends a majority of his time working with the Aquidneck Cannons players. While a senior at Wheaton, he played in 15 games, making 12 starts... scored 23 goals... third in the Pilgrim League with 27 assists... fourth in the conference with 50 points. His honors include - 2013 All-NEILA Division III Preseason Team honorable mention... Pilgrim League All-Conference first team ('11)... Pilgrim League All-Conference second team ('13)... Pilgrim League All-Academic ('11, '13)... ECAC New England All-Star third team ('10)... captain ('10, '11, '13). He studied abroad in Bhutan teaching physical education at The Drak Tscho School for children with physical and mental disabilities... also taught lacrosse at the Jigme Losel primary school. Billy is a certified yoga instructor. Neal, a North Carolina native, grew up thinking and playing Lacrosse. 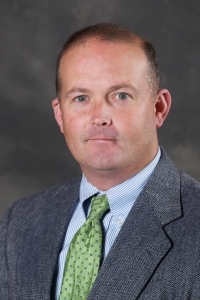 Hew was a NCAA Div III athelete and 3-year varsity lacrosse letterman at Greensboro College. He received NCAA DI Lacrosse Scholorship and freshmen lettermen at the Verginai Military Institure. While at high school he was Captain of his varsity basketball and Lacrosse teams. Neal spend 5 years as head coach of the varsity lacrosse program at the Cape Fear Academy in Wilmingoton, NC and mentored students thru the recruiting process. He was voted the North Carolina High School Coach of the year during his tenure. He was the U-15 head coach for the South Florida Select Lacrosse Program and lead the turnaroundeffort for the New Hanover High School, an inner city at risk public school, resulting in more wins each year during his 3 year tenure as head. Locally he has worked with Portsmouth Youth Lacrosse and has been a part of the Acuidneck Cannons Program the last 4 years, garining winning season each year, and most notabley going undefeated in 2010. 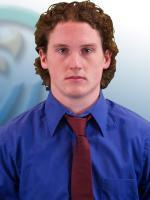 As a goalie, Schuyler was a 3 year starter and Senior Captain at Kingswood Oxford school in West Hartford, CT. He went on to play at Wheaton College where he started all four years and was a captain his senior year. While at Wheaton, he led his team to 3 consecutive conference Championship games and posted over 15 saves in all three match-ups. Schuyler is #2 for wins in Wheaton College history as a goalie, was MVP of his team in 2008, was the recipient of the Coach's award in 2010 and holds the record for minutes played as a Wheaton College lacrosse player. Since graduating Schuyler has coached for Belmont Youth Lacrosse and Primetime Lacrosse at both the middle and high school level. 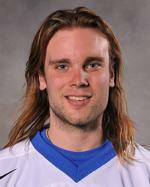 Brian was born and raised in the hotbed of lacrosse near Annapolis, Maryland. As a high school goalkeeper at Southern High he was a a 3 time MVP, 2 time All-County, and State Tournament Semi Finalist. He played collegiately at Div. I power UMBC. Brian played on UMBC’s first NCAA tournament team in 1998 when the Retrievers finished ranked #9 in the nation. 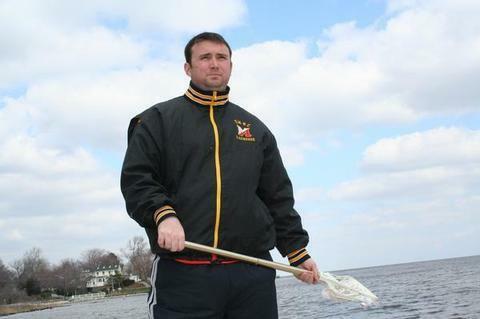 After taking a break from lacrosse and serving in the US Marine Corps Brian returned to the game on the sidelines serving as an assistant and later head JV coach. Moving to Pennsylvania, Brian spent 3 seasons as Head Coach for a developing team at Lansdale Catholic. He set program records for wins in his first two seasons before finally breaking into the prestigious Philadelphia Catholic League Finals. Brian has coached summer travel programs for the past 7 years for 380 Lacrosse and Aquidneck Cannons/Beach Dogs Lacrosse programs. He has helped dozens of high school and middle school players develop into college players and has assisted in the recruitment of players to every level of the college game. 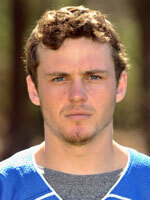 David Haddeland is in his third year as assistant coach for the men’s lacrosse team at Salve Regina. Coaching at a college level has always been in his sights. Haddeland was a standout midfielder and attachmen for Springfield College from 1998-2002. 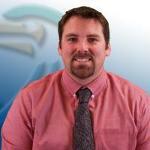 He brings nine years of coaching experience to Salve Regina currently where he is an assistant coach. David, a native of New York, attended Mahopac High School, where he lead his lacrosse team as an All American in 1998, 2 time All League and 2 time All Section 1 player, assisting to win the New York Class A State Championship in 1996. After playing lacrosse at Springfield College, David continued his passion for lacrosse, leading the Mahopac High School Men’s Varsity Lacrosse team as a co-coach alongside his brother for 4 years. Haddeland produced 4 All American and 23 All Section players in his 4 years at Mahopac. David won the 2011 Class A Section 1 Championship, Regional championship and Section 1 Coach of the Year award. After re-locating to Rhode Island last year, David now works as a physical education teacher at Bishop Hendricken high school, as well as coaching Football and JV Lacrosse for the Hawks. David resides in Warwick, with his wife, Siobhan and their French Bulldog Van. As a two time captain and midfielder at Salve Regina University, Curtis led the Seahawks to their first ECAC championship while a senior captain was named most outstanding player in the game. His 250 ground balls his senior year lead the nation in every division for quantity of ground balls. 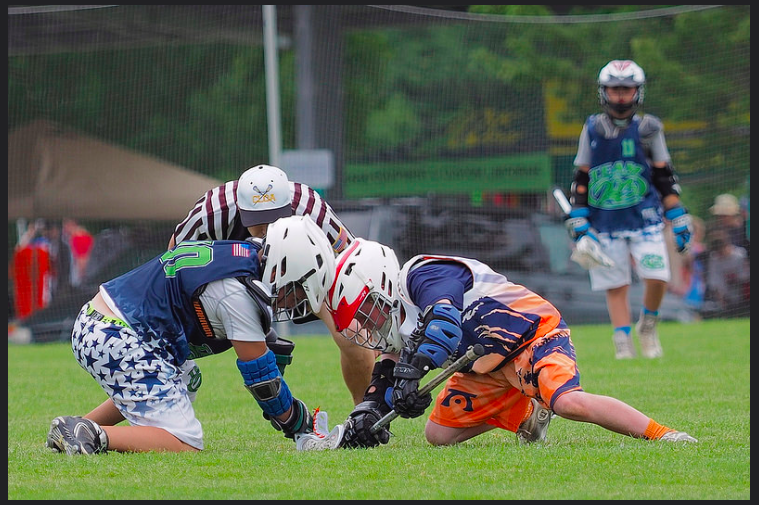 He specializes in middfield and faceoffs, providing specialty coaching to all players who want to excel on faceoffs and ground balls situations. He holds records nationally for winning faceoffs and ground balls: winning 111 faceoffs out of 167. He was ranked third for ground balls in Divisons III, averaging 13 per game, 250 per season and winning 888 for 1451 college career face offs. Curtis was named to the The New England Intercollegiate Lacrosse Association (NEILA) All Star Team and All Academic Team. The teams are made up of 25-man rosters across all divisions of New England lacrosse. In that game he was dubbed: "The Unsung Hero: - In this world of FOGO’s the Salve middie was a true throw back. He not only took most draws, but he was a top offensive threat. He scored 50 goals and added 16 assists, while going 290/461, 63% on faceoffs for the 15-5 Seahawks"
Scott Singer was a three sport varsity athlete in high school playing football, hockey and lacrosse at Providence Country Day in East Providence RI. Scott went on to play lacrosse at the University of Hartford where he specialized as a short stick defensive midfielder. Singer spent 4 years living in Colorado where he coached lacrosse at Monarch High school in Superior, CO. After moving back to RI and residing in Newport, Singer spent a year coaching the Varsity lacrosse team at Portsmouth High while pursuing his passion for strength and conditioning. Singer is currently the assistant coach at Roger Williams University and runs the strength & conditioning program and defense for the mens lacrosse team. 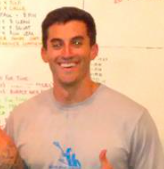 He currently works full time at Spartan Fitness 360-CrossFit Thermopylae in Middletown, RI. Singer specializes in functional fitness and strength and conditioning for young athletes.